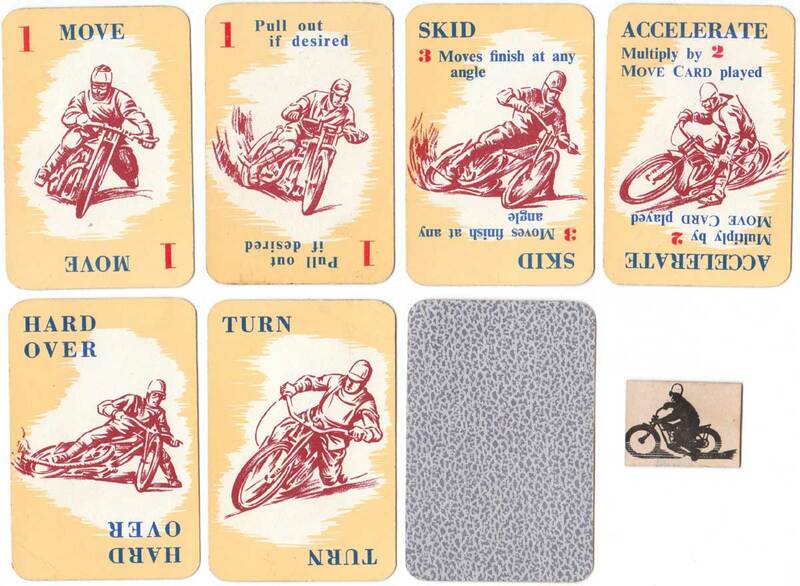 Skid-o motorcycle card game by Pepys, published in 1951. This was a “Double Feature” game based on speedway with track and riders included. Players compete to finish the course or to obstruct their opponents. 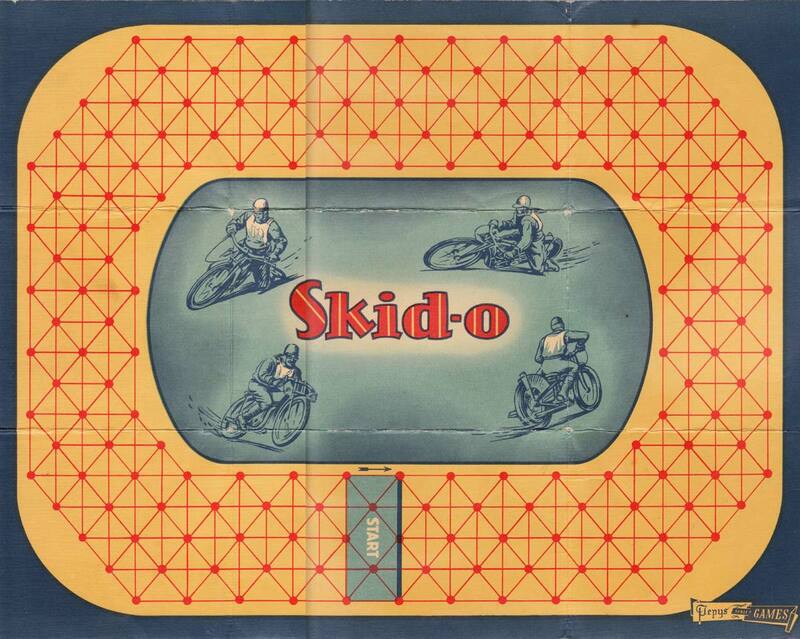 Above: Skid-o motorcycle card game by Pepys, 1951. The set consists of the Speedway, 6 Motor Bikes with coloured wooden stands, and a pack of 50 cards divided into Speed cards and Control cards. From the collection of Rex Pitts. Speedway was very popular around this time. The stars were household names maybe because the sport was regularly on TV. 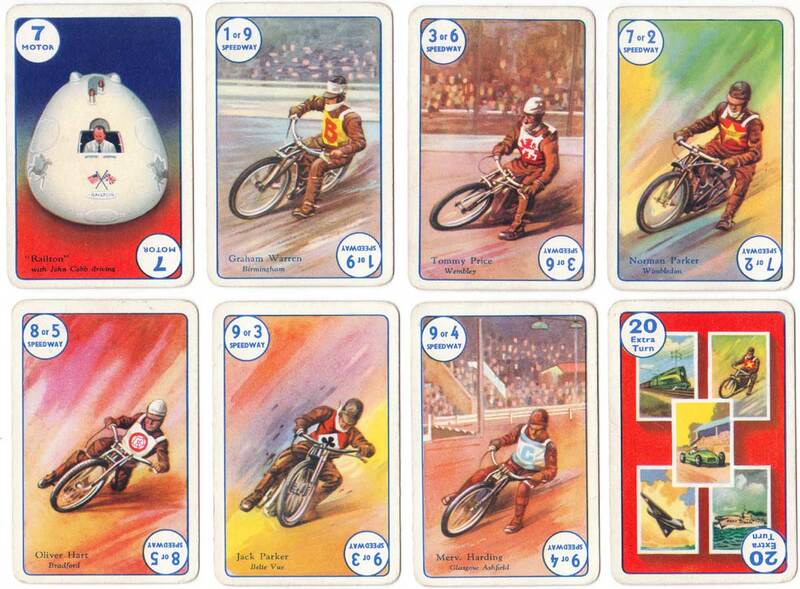 The 1954 5th edition of Speed had Speedway riders on the Double number cards which were all well known riders. Above: Speedway riders on the double number cards from the 5th edition of Speed, 1954.